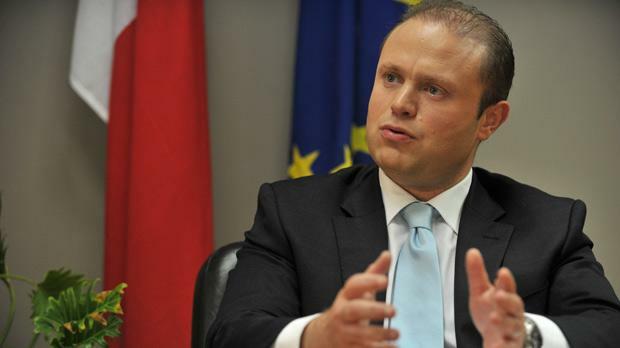 Labour leader Joseph Muscat regrets not telling the police about the Safi drug case, but denies that he lied. He tells Christian Peregin he has learnt his lesson and wants to reform party clubs into family centres. In 2009 you received a letter from the barman of Labour’s club in Safi about an incident that cost him his job. He said he sent the committee president to the kitchen for ice and this person caught two young people with white powder, but he got all the blame. Do you remember this letter? After this case was made public we went through the correspondence files again. When I received this letter I had passed it on to (deputy leader) Toni Abela who explained what happened. The person who reported this case, not the person who wrote the letter, was not prepared to testify or anything because he was concerned about his position. So, you read this letter, spoke to Dr Abela and decided together not to file a police report because the witness did not want to take action. The letter was sent just a month after the incident. The incident had already happened. When I delegate a task, I leave things in the hands of the person responsible. This is how I work. My job is not to overturn their decisions. But the letter was addressed to you. You read it. Yes, my attention was drawn to the letter, in which there was one version of the facts. Weren’t you worried there were drugs in the Safi club? How could it not worry me? These things always worry me. But when I asked what happened, Dr Abela told me he had a totally different version of events. Why didn’t you take the barman’s version seriously when he was accusing you of being unjust? I left things in the hands of Dr Abela as I always do in these cases, by which I mean whatever has anything to do with local clubs. On February 13, the second recording of Dr Abela emerged where he was speaking to the Attard committee about what happened in Safi. He is heard saying: “The president found someone cutting up a white block... and I told him, what should I do, file a police report so he gets in trouble?” On that day, did you ask Dr Abela for an explanation? No. To tell you the truth I still didn’t fully understand the case. The version I knew, from the letters and barman, had nothing to do with cutting up any block. So I thought we were talking about Attard. So you did not speak to Dr Abela when the tapes surfaced. No, because I honestly thought we were still speaking about Attard. In fact, even on In-Nazzjon on February 14, the headline was that Toni Abela suspected illegal activity in Attard and did not tell the police. On February 16, The Times carried an interview with Dr Abela. He explained that he was speaking to the Attard committee but he refused to tell me where the drug incident took place. Did you read this interview? No, not by the time I answered the question (about whether I knew about the case). Things became clear to me on Sunday. So you had not read the interview before journalists asked you whether you knew about the case of drugs... when you said no. I told them, as you quoted me yourselves (The Times ‘Muscat was not aware of Attard club drug case.’ I was very specific. Didn’t you know there was a drugs case in Safi? Yes, but I didn’t think anyone was asking about this case. No one had ever mentioned a ‘block’. In fact, I asked Dr Abela where he got the word ‘block’ from and he could not answer me. It was just the word he used at the time. Everything clicked when the person who sent the letters mentioned the word ‘ice’ on TV. Then I remembered the discussion I had with him where he kept mentioning ‘ice’. I realised he was referring to this case. Dr Abela, who already knew we were talking about Safi, said in the interview: “Let me make it clear Dr Muscat knew nothing about this. I do not burden him with these problems.” But you did know. You had spoken to him about this case. So did he lie? No, as I understand it, Dr Abela meant the decisions in this case were all taken by him and the decisions on whether to proceed or not were his from the very beginning. The case reached him, he took the decisions, and then I got to know about the case. He said you “knew nothing about this”. As I understand it, he was referring to the fact that the decision on this case, immediately after it happened, when it reached him, was his. The people close to the case immediately knew there were two incidents: in Attard and Safi. This was spelt out in the recording. I heard what was broadcast. Maybe this confirms I was not close to the case. You were still under the impression there was another case related to drugs in Attard. Let me be clear, I think this case could have been handled better by the Labour Party, by all of us. I am not the type of person to defend all out and say we did everything right. I think we all made a mistake. Yes, I have no problem saying so. But you are not saying you lied. No, I’m sorry, I did not lie. So the mistake happened in 2009. Were there other cases about drugs? Not that I remember. What I know is that whenever reports reached us, we passed them on immediately to the police. The club in Safi is very close to a school. Your mistake could have had serious consequences. Yes, our mistake was that we did not report it immediately to the police. I am informed, though this is not a consolation, the PN had similar cases. In the case of the PN club (in Mosta), the PN cooperated with the police and five people were arraigned. The point is whether the PN knew about the case before the police intervened. There is no evidence to suggest they did. Because no one recorded their meetings... Look, I think it is time for all political parties to carry out a reform in our centres. I think we should turn these clubs into family centres and I am determined to do this after the election.They can be cafeterias or other things but I don’t think there is space in our society for a political party to. Basically, we don’t need such concerns. This taught us an important lesson. This episode happened in 2009. Did you learn the lesson only now that it was made public? Even the PN has a lot to learn. I agree two wrongs don’t make a right. But this is the same tactic the PN used in 1996. The Prime Minister can take his own decisions, but he had this information in hand and chose to use them politically. We will embark on a reform. The PN is calling you a liar. It erected billboards depicting you as Pinocchio. This time, you did not sue. I am not going to take legal action each time. That is a decision I took. I broke it once on a particular point. Yet you refuse to accept that you did not tell the truth. When you had the chance to say ‘Yes, I knew about Safi’, you said ‘No, I didn’t know about Attard’. I am telling you how things developed, the chronology of the facts. If Dr Abela offered his resignation, would you have accepted it? I think Dr Abela acted genuinely. I got to know him over the past five years and like all of us he has many defects. But while the PN media characterise him as old Labour, Dr Abela was one of the few people who stood up for accountability and transparency in the time of Lorry Sant. In this case, you said he made a mistake. Your campaign is all about accountability and people paying for their mistakes. If Dr Abela was a general election candidate he would have had to withdraw his candidature. But if he offered his resignation (as deputy leader), would you have accepted it? What if he did? Would you have accepted it, the way you accepted Joe Cordina’s (from the position of financial administrator)? When someone submits their resignation it is obvious they would have thought about it. So if a resignation is submitted, it should be accepted. Can you explain the difference between the case of (former deputy leader for parliamentary affairs) Anġlu Farrugia, where you asked him to resign, and the case of Dr Abela? These are two totally different cases. I will not keep getting into the case of Dr Farrugia. I take the opportunity to say I look forward to working with him again in the future. For all we know, Dr Abela could be under police investigation for covering up drug trafficking. I don’t have that information. The last time Dr Abela was called by police they told him there was no case and that he was not being investigated. I take the police’s word for it. Two days ago I was told that the police interviewed the president of the club. They are still investigating. I’m talking about Dr Abela, not anyone else. Some say you cannot ask for Dr Abela’s resignation because you are also involved in the case. In fact, you agreed that you also made a mistake. If he resigns, you too will have to resign. You said if he was a candidate he would have to withdraw his candidature. You made the same mistake he did and you are a candidate. The two things are totally different. The decisions of Dr Abela were taken as the person politically and administratively responsible for what happened at the club. The letters were addressed to you. Just because someone addresses a letter to you with their version of the facts... How do you know he is telling the truth? So why would Dr Abela have to withdraw his candidature? Because he took the decision.